Alexander von Winterfeldt was born on 11 December 1898 at Berlin. He was the son of a Prussian MajorGeneral. Fahnenjunker von Winterfeldt served in a Guards regiment before becoming a fighter pilot in 1918. He claimed four victories during World War 1. He later served with the Eisernen Division in the Baltic area against Communist forces. Von Winterfeldt was serving with 3./JG 2 when the Blitzkreig of the low countries and France began in May 1940. He claimed his first victory in World War 2 on 18 May, when he shot down a RAF Blenheim twin-engine bomber near Landrecies. By the end of May, von Winterfeldt had added two additional victories. In late May or early June 1940, von Winterfeldt was transferred to 8./JG 2. Hauptmann von Winterfeldt was appointed Staffelkapitän of 8./JG 2 on 26 June. During his time with the unit he added two additional victories. 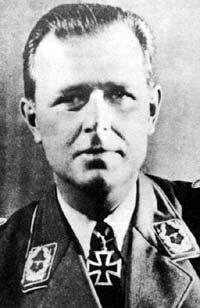 Major Von Winterfeldt was appointed Gruppenkommandeur of III./JG 52 on 1 August 1940. He led the Gruppe until 6 October. On 7 October, von Winterfeldt was appointed Gruppenkommandeur of III./JG 77. He led the Gruppe through the invasions of Yugoslavia, Greece and Crete.  He was awarded the Ritterkreuz on 5 July 1941 for the 6 aerial victories and 15 aircraft destroyed on the ground he had gained to date in World War 2. Von Winterfeldt led III./JG 77 during the invasion of Russia. He gained his last three victories in this theatre. On 3 August 1941, Oberstleutnant von Winterfeldt was appointed Kommandeur of Jagdfliegervorschule 4. He then took command of Jagdfliegervorschule 3 on 19 December 1941. On 16 May 1942, von Winterfeldt was killed in a flying accident at Wien-Schwechat in Bf 109 E-3 (W.Nr. 2458). Alexander von Winterfeldt was credited with 13 victories. Included in his total are four victories recorded during World War 1.